Living in a house that has more rooms than you need gives you a chance to rent out one of your rooms, which can help pay some bills. Performing a background check through an online source or apartment association is one way to find out more about a stranger who'll be living in your home (see Resources). A detailed lease clarifies your expectations and helps to make it a positive living arrangement for everyone involved. Each state and local jurisdiction can legislate it's own landlord-tenant laws. Before you agree to board a renter in your house, check the rules in your area. You may find information about when you can legally enter a tenant's room, how to avoid discrimination, handling security deposits and the eviction process. Your lease provisions should be in line with local tenant laws to ensure that you have the right to enforce your rules and take action if any of them are violated. Specify the term of the lease, such as month-to-month or one year, the beginning and ending dates, and when rent is due, which is usually the first of the month. Include a clause that details the date by which a late fee will be assessed and strictly enforce it. Make it clear that the rent amount is for one person living in the room and that no roommates are allowed. Your lease should be as detailed as possible when describing the living arrangement for the entire house. No oral agreements should be made, so write every provision on the contract for you and the tenant to sign. For example, specify which areas of the house can be used by the tenant, such as the bathroom, kitchen, living room and storage spaces. Assign your tenant shelves in the refrigerator and a space in which to park. Explain if guests or family members are allowed to stay overnight and, if so, the maximum length of the visit. Specify that a violation of any provision can result in termination of the lease and eviction. Detail when your tenant should give you notice to move, such as 30 days before the expiration of the agreement. If your boarder is a student, structure the agreement so that the end of the semester or graduation is the lease end date. 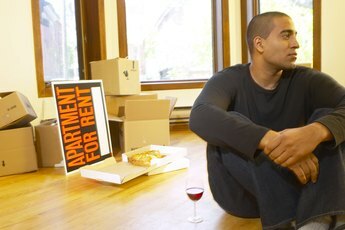 MSN Money: Should You Rent Out a Room?